There’s still plenty that remains to be seen in terms of performance footwear in 2013, but that doesn’t mean we can’t jump ahead and catch a glimpse at what’s on tap for next year. Today, La Sportiva—one of the most trusted names in mountaineering—unveils a series of high performance outdoor shoes as part of its Spring 2014 footwear collection. Covering all your outdoors footwear needs, the La Sportiva ’14 collection features something for everyone. The brand introduces two new mountain boots, the Trango Cube GTX and Thunder III GTX, a pair of rock climbing boots in the Solution and HydroGym (with the latter being machine washable), as well as the the Mix technical approach shoe, the Savage GTX and Bushido trail runners, and much, much more. The collection represents a new level of materials innovation from La Sportiva designed to outfit outdoorsmen with everything they need to tackle the backcountry. 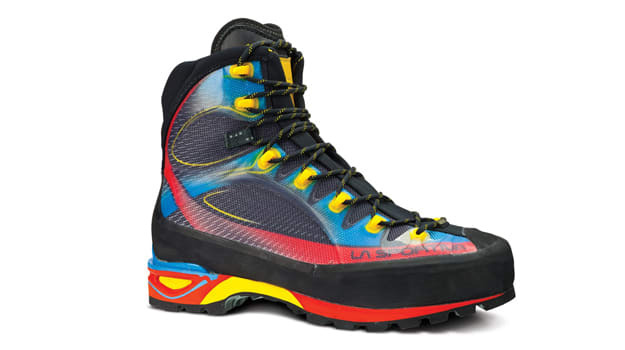 To compliment the footwear, La Sportiva will also roll out an apparel collection in Spring ’14. Check back with Sneaker Report in the coming weeks for a detailed breakdown of each model from the La Sportiva ’14 collection.